How do I export fate data to Breedplan? 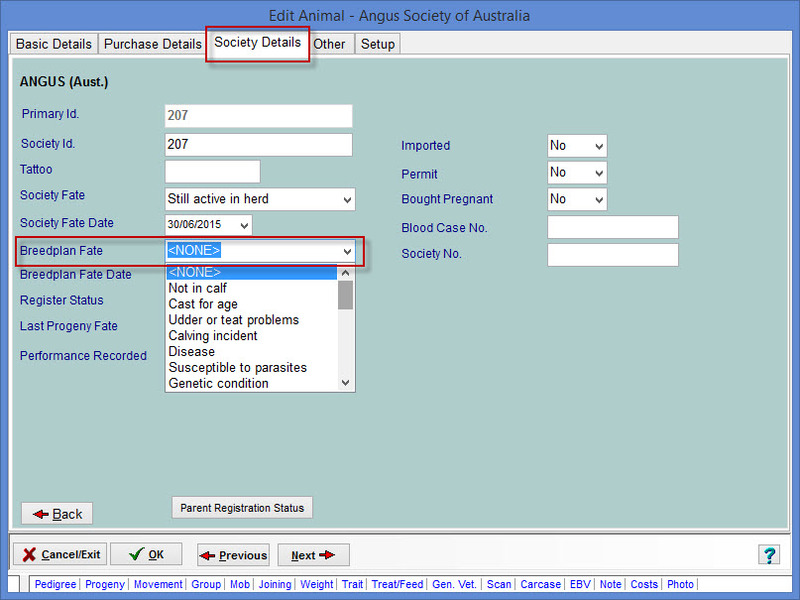 Select the animals for which you wish to export fate data, via the Current Animals listing. 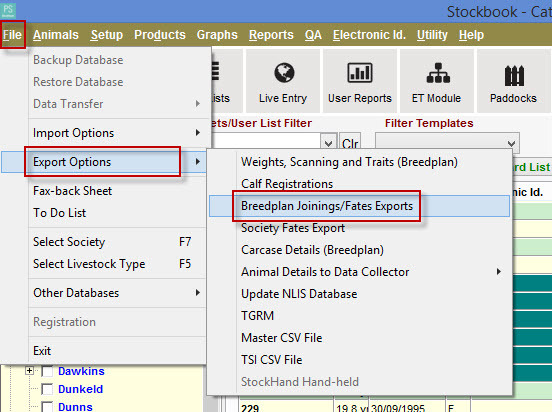 Click on the File > Export Options > Breedplan Joinings/Fates Exports menu option. 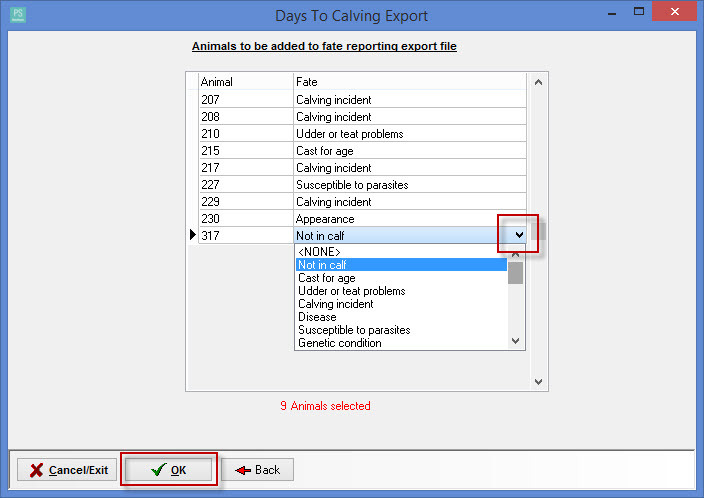 Under Export Data Type, click on the Fate Data radio button. Click on the floppy disk icon located at the right hand side of the Export To File box, to save this data to a specific location on your computer or on a USB stick. Click on the Use Selected Animals Only box, so it is ticked. This window is where the fate of the animal can be entered or edited. Depending on your specific society, fates could appear differentially. You can also enter fates of animals in the main animal screen. Double-click on an animal and then click on theSociety Details tab. Beside Breedplan Fate there is a dropdown list of valid fates.